Franskraal Accommodation is a unique cluster of coastal properties that offers affordable accommodation in the tranquil village of Franskraal near Gansbaai. Three of the Franskraal Accommodation houses are in seafront Seaview Drive. Kormorant Apartment is a romantic getaway for two while Rots ‘n See Self-catering Villa is a family house with robust elegance and spacious enough to house twelve people in comfort. 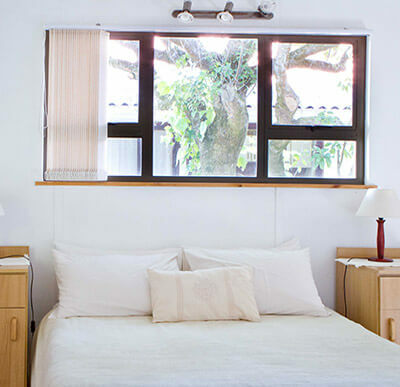 The serene energy of hundred-year old milkwood trees blends with the sounds of the boisterous ocean in the living room of Melkboom Self-catering Villa. 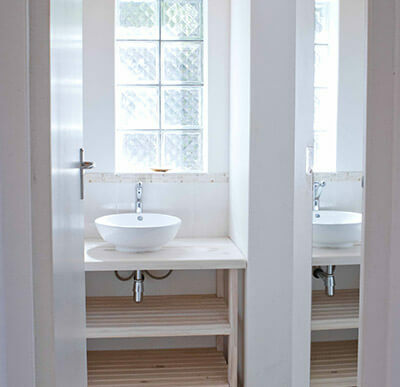 Melkboom can also accommodate twelve people. Gansbaai is internationally recognised for white shark cage diving and conservation and abound in outdoor adventure experiences. This small fishing town is only thirty minutes’ from Hermanus and two hours’ drive from Cape Town. Gansbaai is geographically situated in the fertile agricultural region of the Overberg with picturesque villages to visit and cameras a must to capture the panoramic beauty of the landscape complimented by the colours, textures and shapes of the rich biodiversity of the fynbos. 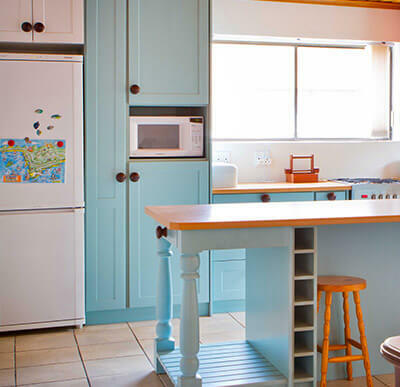 SLEEP 12 Melkboom is a self-catering holiday home on the shoreline of Franskraal, Western Cape, South Africa. 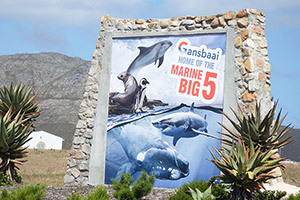 The unique physiographic characteristics of the coast near Gansbaai, South Africa, create the ideal conditions to attract these five species. Support the research and work to conserve the Great White Sharks and book on one of the shark diving companies for a once in a lifetime experience to see the Great White Sharks. The Southern Right Whale is the most common whale in the waters of South Africa. The Walker Bay area is one of the best places for land based viewing where whales often come within metres of the rocks. 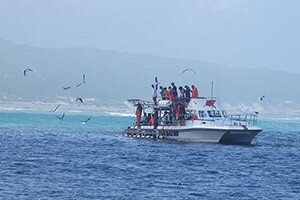 At Gansbaai, there is a resident pod of Humpback Dolphin at Dyer Island. Dolphins are protected in South Africa. 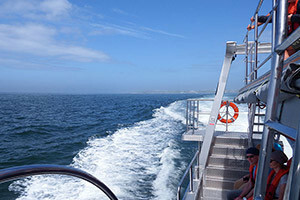 Join one of the whale watching cruises to see dolphins in the waters around Gansbaai. 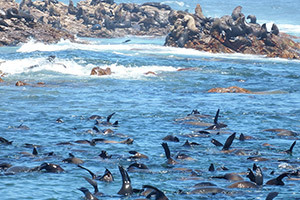 Cape Fur Seals are the main food source of Great White Sharks at Dyer Island. 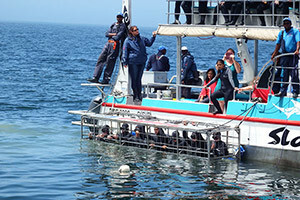 Book now to experience the hustle and bustle of the seal colony on Geyser Rock on one of the shark diving cruises that is available at Kleinbaai. 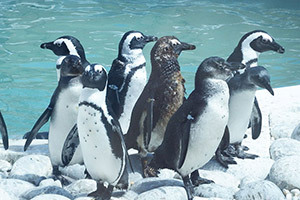 The African Penguin is endemic to South Africa & the only penguin breeding on Africa. There are still approximately 5 000 penguins (2015) on Dyer Island. Dyer Island is 8 km from Kleinbaai harbour and rich in marine life. 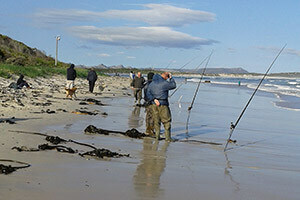 Gansbaai and surrounds have excellent fishing spots for the fishing enthusiast. Kabeljou, witsteenbras, galjoen and mussel crackers are commonly caught from the beach while boat fishing spots have geelbek, silwervis, kabeljou and more. 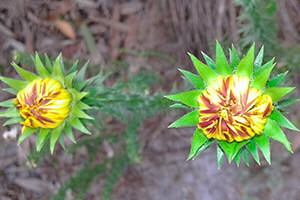 Many Fynbos species are threatened and it’s conservation is of high priority. To celebrate the uniqueness and biodiversity of the Fynbos, the Funky Fynbos Festival is held annually over a weekend in September in Gansbaai. 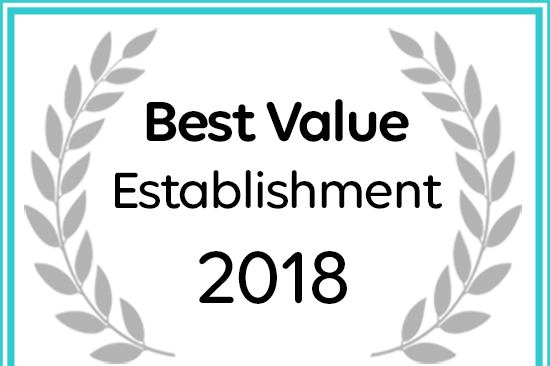 The quality of wines from this cool, maritime climate region is exceptional. 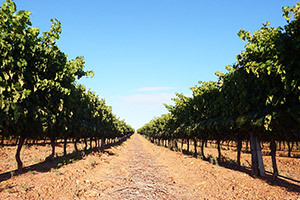 From the coastal plains of Elim to the hills of Stanford, the cool climate dictates the pace for slow-ripening grapes full of flavour, minerality and character.